After 17 years not only the investigation report of destruction of Babri Masjid had been released but extremist Hindu groups BJP, Rashtriya Saevik Singh, Sheiv Sina, and Bajrang Dal have been specified as responsible for this shameful act and the culprits have been specified. In this way if on the hand stance of Secular groups have been reinforced that from 26th November 2008 Mumbai attacks to attack on Indian parliament in 2001 in all terrorist activities extremist Hindu groups/movements are involved and they are supported by RAW and Indian Army. While after every terrorist attack Indian govt., media and even Extremist Hindu movements have been blaming Pakistan, ISI and Pak-army and freedom movement of Kashmiris for these attacks. On the other hand the role of Extremist Hindu groups has also become doubtful who have besieged whole India. These extremists are so much influential that on arrest of their terrorists involved in attacks over Samjhota Express and Malegaon they staged bloody drama of 26/11 Mumbai. After the release of investigation report the credibility of these extremist groups have been threatened. In Afghanistan for peace restoration the talks between Taliban and America supported by Kingdom of Saudi Arabia (Pakistan and UK are also involved in them) are not less then a shock for India. India that whenever America left Afghanistan there will be no place for Indians there and definitely its investment over hospitals, schools, colleges, and universities since 2004 will be lost. Through this India wants to convert Afghans to Hinduism. Moreover its dream of access to Middle East States will be shattered. In the recent visit of America Manmohan Singh has tried that India should be included in talks with Taliban. However America will never wish to sacrifice its interests by including India in talks while it knows ground realities and past history. Under this pessimism an Indian politician claimed “Wahabi Sect” as root of terrorism in the presence of Saudi Ambassador. On this as a protest Saudi Ambassador left the venue in anger. This was the first drop of rain on expressing of hate against Saudi Arabia. It is the duty of Kingdom of Saudi Arabia to take it seriously from where India gets 40% of its budget annually. The Chief of Indian Army General Deepak Kapoor has threatened world of a limited Nuclear war in South Asia and has also expressed fear that Pakistani Nukes might fall in the hands of terrorists. These two statements are in contrast to each other but threat of a limited nuclear war is not without any reason. This will be Indian plan that it can attack Pakistan through high speed aerial attacks and its army also enters within Pakistani territory through different sides. Afterwards convince world through propaganda that Pakistan is going to use Nukes. On this India would like to that in order to avoid great destruction international forces come forward and control Pakistani nukes. On 26th November 2008 as soon as bloody drama of Mumbai attacks started Indian Interior and Foreign Ministry and electronic media targeted Pakistan. Indian govt. kept changing its stance over identity of terrorists and started blaming Pakistan afresh. The fight with terrorists went on for 70 hours but Indian govt. was unable to reach at a conclusion. Howver the propaganda campaign against Pakistan, ISI and LeT (Lashkar-e-Taiba) did not grow weak even for a moment. The whole of this campaign was countered by news of murder of Chief of ATS Karkare, Additional Police Commissioner Salaskar and Deputy Chief of ATS Kamte. In this way the story of 26/11 split up into two parts. Outer world was just being convinced that Pakistan is involved in terrorism, and if govt. of Pakistan is not involved in it then terrorists have support of ISI. In contrast to this in the India the whole story was turning around the deaths of officers of ATS. According to Indian police they were murdered in the first 30 minutes by terrorists as the operation against terrorists started. But public of Mumbai, local electronic and print media and most of the journalists were not ready to accept the stance of Mumbai police. Because they knew that these three officers have not only arrested culprits of Samjhota Express and many other bomb blasts including on duty Colonel of Indian army Colonel Purohit, some officers of Major ranks and had been successful to get statements which showed that they were guilty. Due to this Karkare and his colleagues were inevitable to be removed from the way of Indian terrorists supported by RAW. Local media was keeping an eye over the situation was aware that facts are different from statements issued by Indian govt. Here I think that our masters of media who can count feathers of sparrow before it flies and our Foreign Ministry including our leadership is collectively culprit who in spite of knowledge that “Culprits of blast in Samjhota Express including on duty officers of Indian army have been arrested” they kept silence and expressed criminal ignorance. 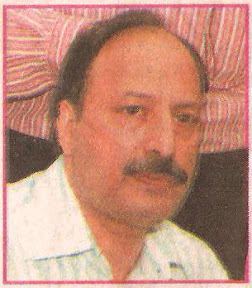 While on 8th November 2008 during a press conference chief of ATS Hemant Karkare disclosed that “on duty officers of India are involved in many incidents of terrorism, after arrest they have not only accepted their crimes but pointed out an organized terrorist group in Indian Army”, after this was our duty that we have took that problem on international level and if at that time govt. of Pakistan has demanded culprits of Samjhota Express then scenario of Sub-continent would have been much difference. India would have to find place to hide its damned face and we have not needed as usual to beg from India for talks. In spite of our collective criminal ignorance the disclosures of Karkare destroyed credibility of Indian Army. Liberal groups of India, opposition political parties’ moreover Indian intellectuals and writer were protesting against it and an unstoppable criticism has started against Indian Army. Famous intellectual Kaldeep Tier was also forced to criticize his army. On 20th November 2008 (first time in the history) his article “Playing with Fire” was published in India in “Hindustan Times” and “The Hindu”. Look at a paragraph from this article, it seems as Dr. Ayesha Siddiqa or Rasheed Ahmad are condemning Pak-Army. “Indian army is equivalent to sacred cow. We Indians neither can question its expenses nor any committee has been formed in “Lok Sabha” to analyze the rupees fixed for it in budget. Even in spite of all objections the matter of purchase of specific weapons from other countries is left to the will of Defense ministry. Whether it is matter of purchase of aircraft carriers from Russia or corruption in purchase of Borfor cannons, our rulers have succeeded in ignoring and hiding such corruptions. Because army is not ready to investigate such corruptions. Due to this our trust on our Armed forces have been doubtful since 1947. we have no doubt over this any of our officers from armed forces could be culprit or he can be punished for his crimes. But then suddenly such an incident came forward which shattered all of our trust on armed forces, this is the matter of Colonel Purohit. He is a senior on duty officer. He is acused of bomb blast in Malegaon on 29th September (in this incident of terrorism 31 innocent persons were dead and all of them were Muslims) and destruction of Samjhota Express. Our (Indian) govt. was as usual condemning Muslims for these terrorist activities but astonishingly Military Intelligence or other secret service was unaware that Indian Army is involved in such terrorist activities through Hindu Extremists. This credit goes to ATS who unveiled the source of terrorism and dared to arrest and investigate Indian army officials involved in such shameful activities. And more astonishing is that statement of BJP, “Hindu can never be a terrorist and Indian Army is a part of Hindu Society””. “I have never been politically correct, but have always written what I have discovered while reporting. Let me than be straight forward about this so called Hindu Terror. Hindus since the Arab invasions, have been on the receiving end of terrorism, whether it was by Timur who killed 100000 Hindus in a single day in 1399, or by the Portuguese inquisition which crucified Brahmans in Goa. Today, Hindus are still on being targeted. There were one million Hindus in the Kashmir valley in 1900, only a few hundred remain, the rest having fled in terror. Blast after blasts have killed hundreds of innocent Hindus all over India in the last four years. Hindus the overwhelming majority community of this country are made fun of, are despised, are deprived of the most basic facilities for one of their most sacred pilgrimages in Amarnath while their govt. heavily sponsors the Haj. So sometimes enough in enough. At some point after years or even centuries of submitting like sheep to slaughter…”. Readers after reading above lines you would have got idea that why Indians are given importance as compared to Pakistan. Whether it is problem of Kashmir, water aggressiveness of India or drama of 26/11, we don’t have organized mechanism to counter India propaganda or bring forward the truth. Otherwise we have protested on the arrest of Colonel Purohit, how is it possible that world has not listened to us, but we are even not able to be the voice of Indian ruling party’s member and minister for Indian minorities “Tanule” who has criticized Mumbai attacks and had tried to get world’s attention that why in an operation which continued for 70 hours only those personnel of ATS have been murdered by terrorists who conducted investigations and arrested culprits of bomb blasts in Makkah Masjid, Malegaon and Samjhota Express, including a female Hindu Extremist and Indian Army Officers and succeeded in bringing this case to the court. Tanule has been removed from Ministry along with membership of the party. He clearly rejected Indian stance about 27/11 and story of Ajmal Qasab and said that 26/11 was a staged drama to restore credibility of Indian army and to divert world’s attention from terrorists in Indian army, in an interview to BBC on 12th December 2008. Now recall the scenes telecasted by govt. and non govt. media on the night of 30th November 2008. The Taj Mahal Hotel, Hotel Oberoi and Nareeman House has been freed from terrorists. According to govt. 9 terrorists have been murdered. One has been arrested alive and astonishingly the person arrested alive was the same terrorist whose CCTV footage was shown by all TV channels on the night of 26th November, as all TV channels are saying look him carefully in the end of this drama he will be a witness against Pakistan. Indian army is returning back in trucks, people around the roads are raising slogans in favor of Indian army. They are kissing hands of Indian soldiers. Anchorpersons of different channels are emotionally making analyses that at last Indian army defeated the enemy. No one raised question that what type of the bravery is it, that a Brigade of Indian army equipped with lethal weapons spent 70 hours to capture just ten persons? Then the statement given by Indian Minister for Minorities before resigning in Lok Sabha was true that drama of 26/11 was staged to restore credibility of Indian army due to arrest of Colonel Purohit. The most beautiful and secure area of Mumbai “Caloba” where even a bird cannot enter without the permission of Police. In between paved coast from two sides, hi-fi Five Star hotels like Oberoi, Trident and Taj Mahal where day night millionaires like heads of multinational companies, Film Stars, Producers and spectators like Arabic Sheikhs are always gathered. In this area the rules and regulations about security and renting are extremely rigid and even extremely influential people (weapons could not be taken without security being knowing it) have to leave their weapons on special counters. In these hotels one cannot even take a knife with him. What it means that terrorists enter into these hotels with AK-47 rifles? Near these hotels a secret seven storey building of Jews Nariman House is situated. Opposite to it is Victoria City Terminal, near by Cama hospital and Metro Cinema. About a distance of 2 miles is head quarter for ATS (Anti Terrorist Squad). Keeping in view the whole of this geography the Mumbai Operation was planned and if we call it a bloody drama it will not be wrong. The planners of this drama are: Singh Privar (The leaders of all Extremists Hindu Party) leaders, Indian Military Intelligence, RAW, Some officials of Indian army, and MOSSAD. Those who helped to make this drama successful are Bal Thakre, Rajinder Soaishu nick named as Chota Rajan, owner of Taj Mahal hotel Ratan Tata, owner Oberoi Hotel Nandah Oberoi and Narinder Modi. The targets of Operation were much clear, choosing the VVIP area which was away from the crowd of Mumbai city and on the other hand it was easier to focus the foreigners in this area. The safety of these foreigners would have been the cause to revert the attention of the whole world towards Mumbai. Moreover it was easy to murder all those officials of ATS who have threatened the Indian army’s prestige and Indian propaganda against Pakistan due to their professionalism, honesty and dutifulness. And then it happened as per plan. Including the main leadership of ATS 80% of ATS personnel were murdered within one hour of start of operation. However rejection of claims by Mumbai public and journalist community that Chief of ATS and other officials have been murdered by terrorists created a difficult situation for Indian govt. till the morning of 27th November Indian Interior Ministry several times changed statements which created more suspicions and Mumbai journalists got more dissatisfied. They were not ready to accept these stories. In order to tackle such situation the planners of operation decided to prolong it. So that observers could be kept busy in the sounds of guns and world does not listen to the protest of Mumbai journalist community being worried for the safety of innocent people and accepts whatever lie Indian govt. tells them. Otherwise look at the newspapers or recordings of Indian TV Channels from 26th to 30th November, all the deaths occurred at 11 am of 27th November after this the whole operation of 50 hours was just to misguide international community. Even the corpses recovered from Jewish Nariman Center were 3-4 days old. Now let us come towards disputed statements of the number of terrorists, at least on 6th December India finalized its stance that number of terrorists was 15 and they arrived Mumbai via two boats. (while at the end of operation it was told that 9 terrorists have been murdered and one arrested alive. As proof 15 tooth brushes, tooth pastes, 15 bath soaps, dish washing soaps and other goods for journey were shown they all were manufactured in Pakistan. The goods shown were so much joking that as these terrorists were going to a picnic). As soon as the statement about the 15 terrorists was issued, whole Mumbai got worried that where are the other 5 terrorists and definitely they will be armed. After two days final statement of Indian Interior Ministry was issued, “ten terrorists came from Karachi to Mumbai on a boat, a terrorist named as Ameer Ajmal (later on his name was changed to Ajmal Qasab) have been arrested alive. Other 9 have been killed their identities and pictures will be soon issued to media”. 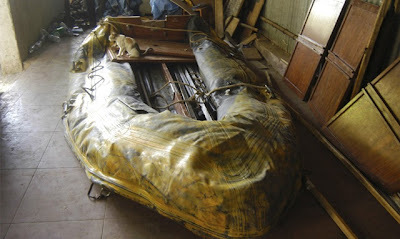 The above mentioned boat has been shown into the court and is questioning even today, “can ten men along with weight of hundreds of Kilograms of Hand Grenades, AK-47 Rifles, spare rounds and other necessities can travel from Karachi to Mumbai?” OR after such a long sea journey which paralyses body systems can any human have such capacity to face a Brigade of trained army for 4 days and 5 nights in a strange place? Ok let us accept that all terrorists were supermen like roles of Hindu fiction stories and their boat has also magical powers then why did they need to bring tooth pastes, soap and detergents and other necessities with them? And how is it possible that terrorist who was shown on 26th November carrying rifle in his hand on Victoria Railway Station is arrested on 5th day without being hurt while all of his fellow terrorists have been killed? Saresh Misra is of the view that Mumbai 26/11 story is based upon lies. Yes! 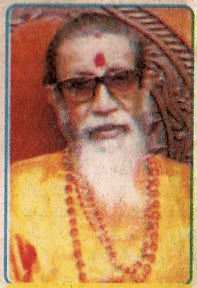 The bloody drama of 26/11 was the last episode of that shattering story which started with the recording of Sadhvi Pragiya Singh Thakar on mobile phone in September 2008, in this recording both parties congratulate eachother on successful bomb blast in Maligao by fixing bomb on a stolen motorcycle. 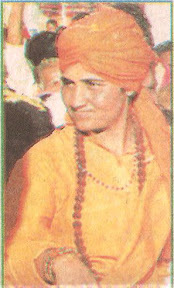 Sadhvi also expresses anger that in spite of proper amount of dynamite and crowd on the spot why the numbers of death is low? Kaveeta Karkare says that her husband had not only doubt but sure that bomb blasts during last years in different cities of India for which Indian govt. have been accusing Muslims and Pakistan, actually Hindu extremists were involved in them. They have full support of Indian secret agencies and officers of Indian army. But no important proofs have been acquired by ATS under them real culprits could be arrested. However conversation between Sadhvi and Ram Jee provided much of them. 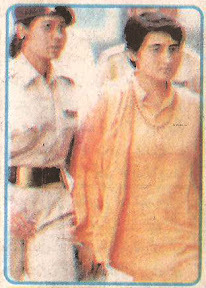 Hemant Karkare at once arrested Sadhvi and under the light of investigation done to her on duty Colonel Prohit was arrested. 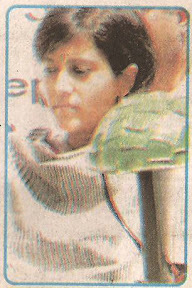 During the function Kaveeta signaling towards the journalists said, “these people are witness that the video shown to announce the death of Karkare by Interior Ministry showed that Karkare went to face terrorists wearing Life Jacket and Helmet. But Karkare’s back and chest were hit by bullets, how could bullets pass through Bullet Proof Jacket? 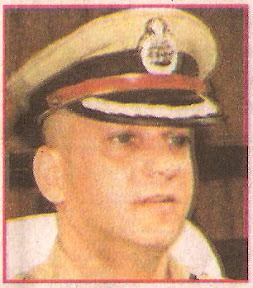 I believe that after murdering dead body of Karkare has been transferred to the spot of terrorism. I was informed by a police officer that Karkare has been murdered by terrorists in Hotel Taj Mehal, while worried I arrived at hotel I was by force sent back. After sometime police commissioner called me, he was telling on TV that Karkare, Salaskar and Kamte were going on the vehicle together, suddenly they saw terrorists, terrorists without wasting a second fired on the vehicle and all of them died on spot”. During the function after one year Kaveeta Karkare made and important disclosure about the drama of 26/11 and told the participants, “on 24th November Karkare has dismissed three officers included Sachan. These three officers besides being in contact with Don of Underworld Chota Rajan, acting upon the orders of Shivseena destroyed proofs collected by ATS against Colonel Prohit and Sadhvi. 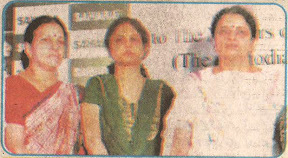 However many proofs being away from their success remained safe”. Keep in mind that last year Kaveeta termed death of her husband as barbaric activity of govt. and announced that she will herself investigate and search for murderers of her husband. And after untiring efforts of 4 months she succeeded in bringing the names of Colonel Primnath Hoon and Colonel to the eyes of world. They are running training camps for terrorism (both claim their camps as a defense line against Pakistan). According to Kaveeta her husband had prepared a Profile of Colonel Prohit along with proofs and when he arrested Colonel he was teaching a course of Arabic “Army Educational Corpse Training College” Madhiya Pradesh as military intelligence officer. This was very astonishing for Karkare that while as Major in Marhata Regiment in Occupied Kashmir he has downed his category. So that he can stay for longer time in Kashmir and murder Kashmiris. He severely hates Muslims. After category downing Prohit was went to Military Intelligence here he was given free hand to establish network against Muslims. This network which had many army officers as participants did not spare to kill Prohits of Mandirs, Sadhu or politicians to spread hatred in the hearts of innocent Hindus against Muslims. Whole of this information came to the knowledge of Karkare during investigations from Colonel Prohit. Colonel Prohit accepted that the officers of Indian army when completed any mission against Muslims they celebrated it in a get together/function in this their wives also participated. This means that their wives knew that they are involved in terrorism, massacre, and bomb blasts. So Karkare got sure that in terrorism Prohit and his colleagues have full support of higher officials and secret agencies. 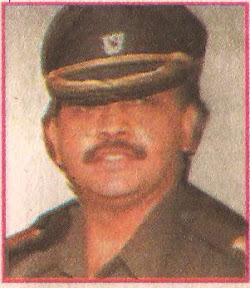 Afterwards Colonel Prohit was designated to Puna and Nask as Colonel. Here in his network people of Bajrang Dal, Shivsina, Rashtria Sevik Singh and underworld also participated. Colonel Prohit is responsible for providing explosives, targets are chosen by Hindu Extremists, it was especially planned that bomb blasts in Muslim majority areas and after this Indian media and govt. played their role. Pakistan and ISI is blamed so much that world accepts this lie as truth. In contrast to this look at our condition in routine suicide bomb blasts many innocents are killed and half of them are innocent children but our officials stutter taking name of India. At least how long will we accept Indian lie as truth and make our truth doubtful? 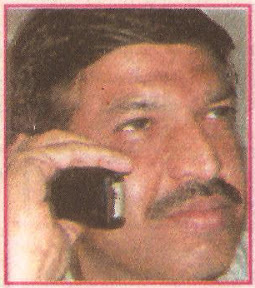 In the end some pages from the diary of Hemant Karkare are included here which he started preparing after information he got from investigation of Colonel Prohit, his colleagues Major Ramish, Sadhvi and moreover Annand Dev Maharaj. After reading them you will understand story of Mumbai 26/11. “I don’t know why Chief Judicail Magistrate H.K. Gantra remanded them in Police Custody till November 27. Just for three days? Whereas Police demanded for a week”. “it was revealed that some of the accused had drafted a plot to eliminate a Delhi-based Hindu Leader, we were stunned to know about the plot. We have already shared the information with the authorities in Delhi. We have information that a Hindu Leader from Madhiya Pradesh was allegedly involved in the October 2007 Ajmer Blast”. “it was a fact that one of the Major General id directly or indirectly associated with the Purohit. We are monitoring his activities and he will be detained at the appropriate time”. “Today in Nashik Court Panday said that he arranged a meeting between Purohit and Sawami Amritnand Dey teerth Mahraj, whom we have arrested from Kanpur for his alleged role in September 2008 Malegaon blast”. 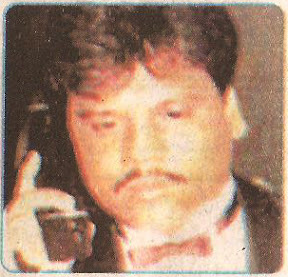 “Swami claimed “Dayanand Pandey Alias Sudhakar had directed Lt. Colonel Shrikant Prassad Purohit to arrange for explosives””. Sawami also confessed that Purohit was involved in Malegaon blast and in conspiracy of sabotaging Pakistan going train “Samjhota Express”. “We have recovered a boarding pass of Kingfisher Airlines, a cheque book, an ATM card, a Debit Card, a passport and a pen drive from Purohit. Cops are scrutinizing the pen drive’s content and bank account details. During their investigation it appears that Purohit used Army Network for procuring “RDX”. We have identified all the persons in providing RDX to Purohit, it was also found that Purohit was in contact with one of his senior, we will Book him too in few days”. On 24th November Karkare is mentioning which criminals? For whose remand police had demanded one week and judge issued remand only for 3 days till 27th November why? Did he knew that till 27th November something unexpected will happen after which either the case of Malegaon and Samjhota Express will end or the investigators will not be in this world to follow the case? Date 05 and 12 December 2009.
ers in different countries.For this work,they usin g more agents with political uniform in each count ry.one shoot&catch 3 bird ,Karkare finished,swami escaped&pakisthan become strong enymy.